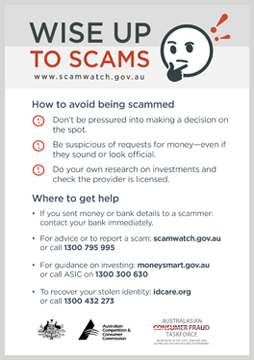 Scamwatch is urging older Australians to 'Wise up to Scams' during this year's National Consumer Fraud Week, which runs from 16-22 May 2016. We're encouraging older Australians to take the time to understand how they can identify—and avoid—the increasingly sophisticated methods scammers use to part them from their hard-earned money. 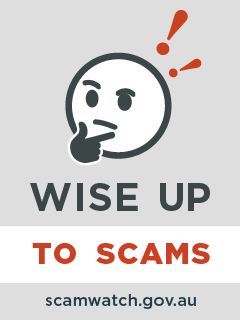 provide older Australians with information on what to do if they've been scammed. Wise up to scams magnetic card. As part of the 2016 Fraud Week campaign, the ACCC has produced a magnetic card to help consumers avoid scams. The card is sized A5 with large print and is available to order for free for a limited time. 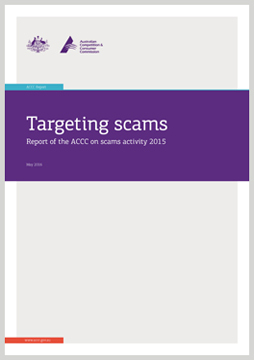 Targeting scams: report of the ACCC on scams activity 2015. This report explains key trends in scam activity and highlights the impact of scams on the community. It highlights the cooperative work of the ACCC, other regulators and law enforcement agencies to disrupt scams and educate consumers. Scam statistics. Get the latest scams data from this new resource that illustrates the prevalence and impact of scams. 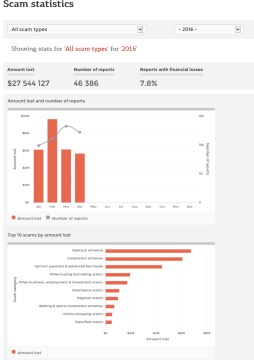 The statistics can be filtered by scam type, month and year, allowing you to track trends in scam activity. This infographic provides a snapshot of key trends in scam activity from the 2015 Targeting scams report. 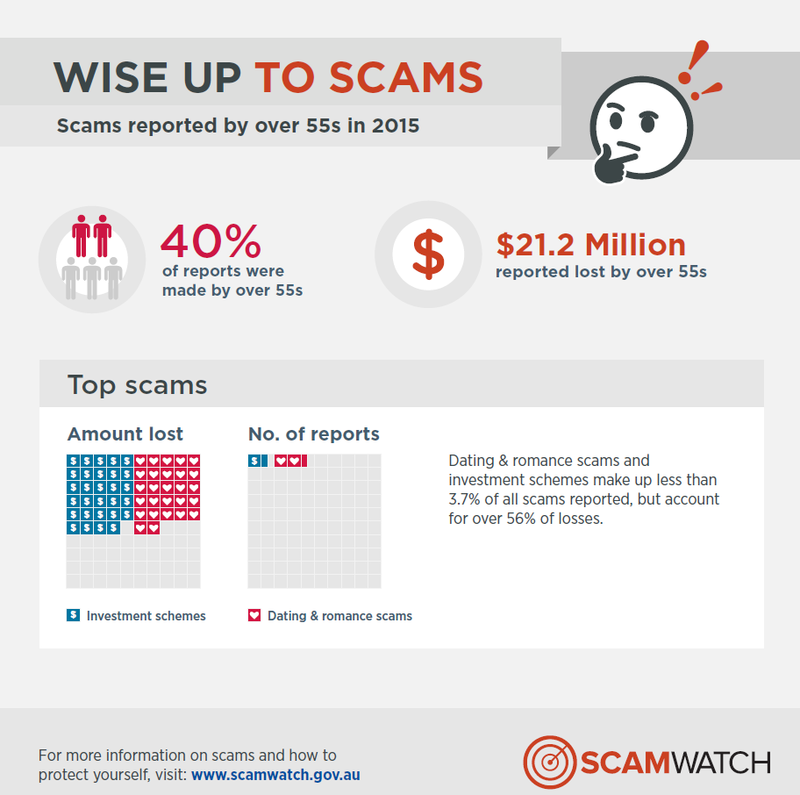 This infographic shows key scams data based on reports made to the ACCC by over 55s in 2015. Scamwatch would like to acknowledge the assistance of its government, business and community group partners. National Consumer Fraud Week is an initiative of the Australasian Consumer Fraud Taskforce.